In 2019 the Camden Haven junior AFL club will field teams in the u11's (kids born 2006, 2007, and 2008) and u13's (born 2006 and 2007) and youth Girls U17s age groups. We will also run an Auskick program during school term 2 for younger kids who want to learn the skills of Australian Rules Football. Registrations for the 2019 season will be done online, refer to the 'notice board' (right hand column) for more info on registrations. Online Registrations open after 2nd November 2018. Junior training will commence 5pm Mondays at Laurieton oval, pre season training will be held Monday evenings for all junior grades. Junior AFL is a great way for kids to improve their fitness levels, coordination and leadership skills in friendly team environment. The Camden Haven junior teams play in the North Coast junior AFL competition which consists of 11 clubs. All junior games are played on Sunday's with the 2019 season commencing in April. 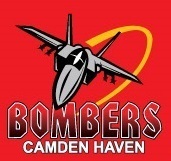 The Camden Haven Bombers were formed in 2006 with the goal of providing kids in the area who have an interest in Australian Rules football the opportunity to learn the skills and play the game. 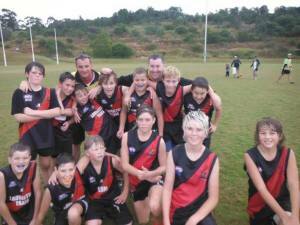 We hope to see plenty of Camden Haven kids enjoying themselves running around in the red and black this season. Registrations for the 2019 junior and Auskick seasons are now open. How: All registrations will be completed online in 2019. 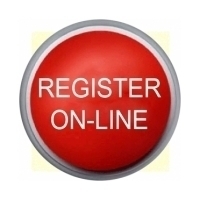 Juniors - u11's and u13's and youth girls can register by clicking on the 'Register Online' icon above. Cost: Junior registration $100 (payment can be made online during the rego process using either Credit Card or Poli EFT payments, or by redeeming the NSW Govt 'Active kids' voucher program after 31st Jan 2018 which will contribute $100 per school child towards sports registration) - club socks will be provided for new players, club shorts can be purchased directly from the club. Auskick Registration $85 - includes official 2019 Auskick bag which contains a football and heaps of other gear. Training: Junior pre season training (u11's, u13's and youth girls) will commence Monday 12th Feb at 5pm. Auskick (5yo to 9yo) will be conducted 5pm Friday evenings at Laurieton oval commencing start of school term 2. One stop shop for all your lighting and electrical need. Call Tony and the team on 6559 8138 regarding any real estate enquiries.